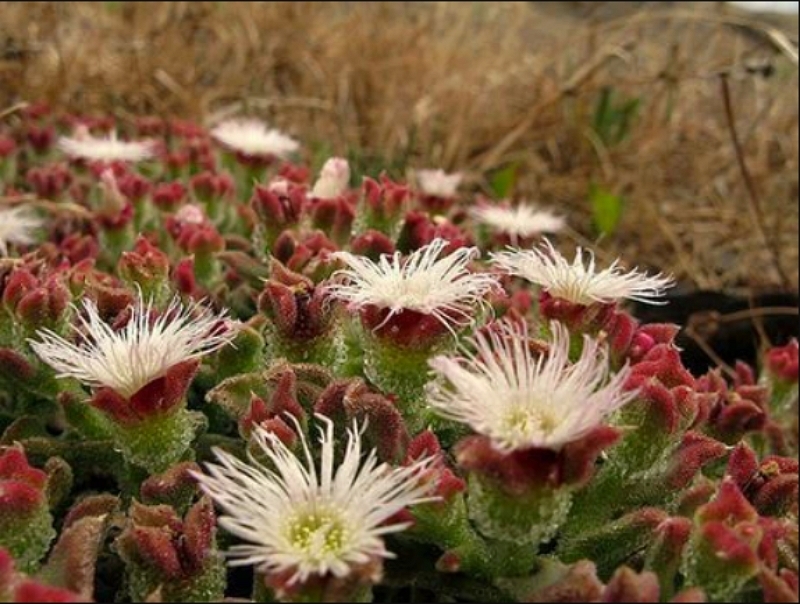 Members of Mesembryanthemum are half hardy annuals and perennial succulents. They carry daisy like flowers of pink, white, red or yellow that flower from spring to the end of summer (dependent upon species). They reach heights from 10 to 30 cm, making them ideal for use in rock gardens or at the front of borders. 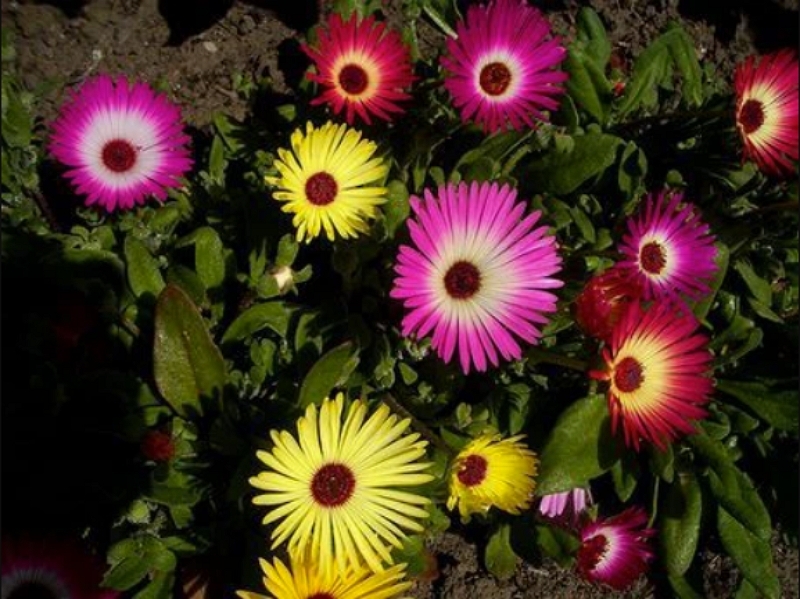 Some common names for Mesembryanthemum plants include Fig Marigold, Sea fig, Ice plant and Hottentot fig. Mesembryanthemum Crystallinum - Ice Plant by Leo-setä; creative commons. Common Names: Fig Marigold, Icicle Plant, Pebble Plant, Ice plant, Sea Marigold, Sea Fig. Life Cycle: Half hardy annual. Half hardy perennial. Height: 4 to 8 inches (10 to 20 cm). Growing Region: Zones 3 to 10. Perennial in zones 8 to 10. Flower Details: Pink, white, yellow, red. Daisy-like ray and disc florets. Solitary or loose flower clusters. Massed blooms. Long lasting flowers. Foliage: Green through red. Succulent. Fleshy leaves. Sow Outside: Surface. Sow out at two to three week intervals from following the last frost until the middle of spring. Spacing 6 to 10 inches (15 to 25 cm). Sow Inside: Germination time: two to three weeks. Temperature 70°F (21°C). Two months before expected last frost. Transplant outdoors following the last frost. Requirements: Full sunlight. Good drainage. Sandy soil. Grit. Poor soils. Can survive in dry soils. Occasional watering during prolonged dry spells. 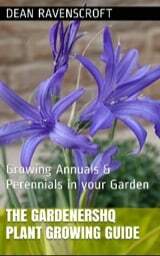 Supply a feed to perennials following flowering. Propagate: cuttings in spring. Fig Marigold (Mesembryanthemum) seeds should be sown outdoors sequentially from just after the last frost of spring until the end of May; this will result in a long blooming period. It is best to sow the seeds on the surface into a sunny part of the garden that has good drainage. Fig Marigolds prefer a soil that is sandy and dry, ideally the soil should also have a poor nature. If growing Fig Marigold indoors first then start the process about 3 months in advance. The seeds will take about three weeks to germinate in the dark and at a temperature of about 18 to 24 degrees Centigrade. Once growing smaller species of Mesembryanthemum can be put out following the last frost of spring at about 15 cm apart, and larger varieties at about 20 to 30 cm apart. Once growing, it is best to water Fig marigolds regularly and apply a liquid fertiliser once the first round of flowering has occurred.